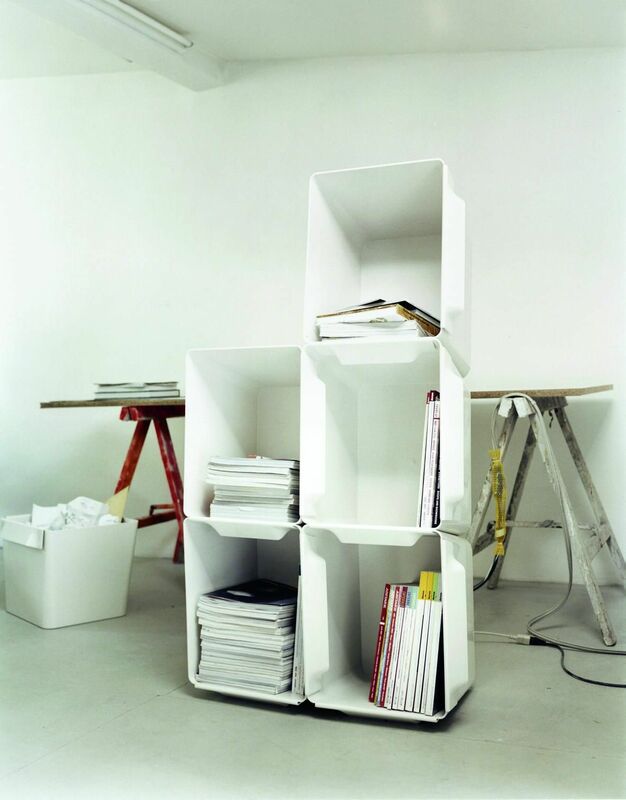 The transportation and storage system designed by Stefan Diez revolutionised the world of shelving in 2003. What once appeared inflexible and static has been made dynamic, mobile and spontaneous with the intelligent Big Bin. 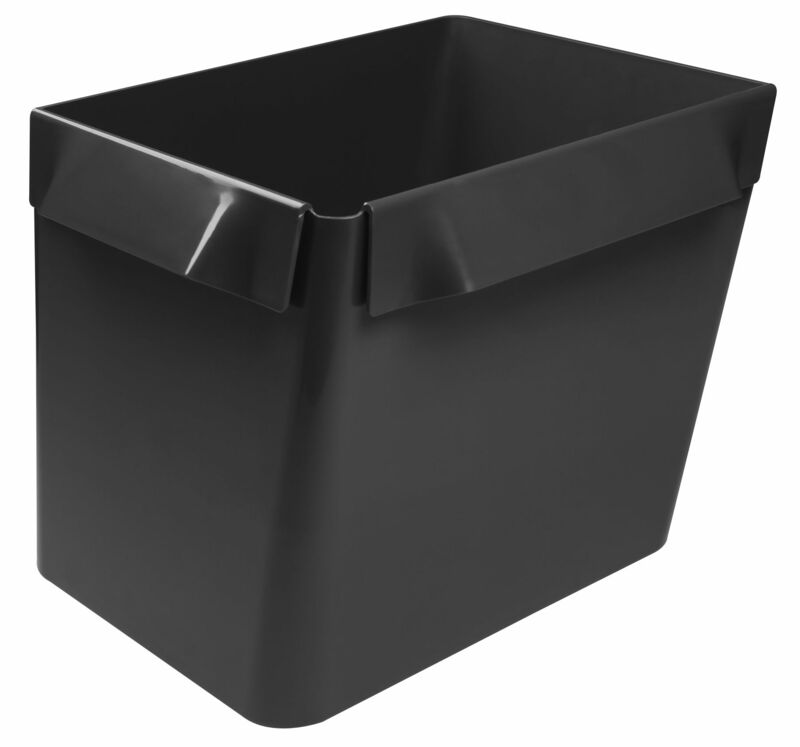 Big Bin is a strong container for transportation and storage as well as modular building block: Connect several Big Bins by interlocking the side handles (up to three high) and they become modular furniture elements. 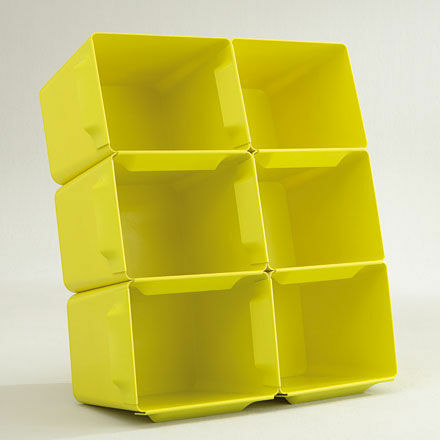 In a short time you can create shelving units or sideboards that need no further fixation. 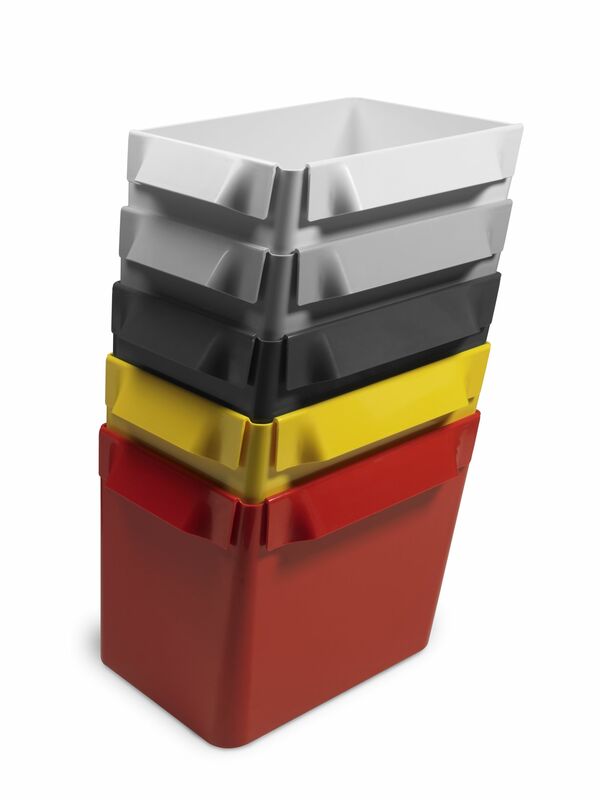 Each Big Bin can hold up to seven filing folders. 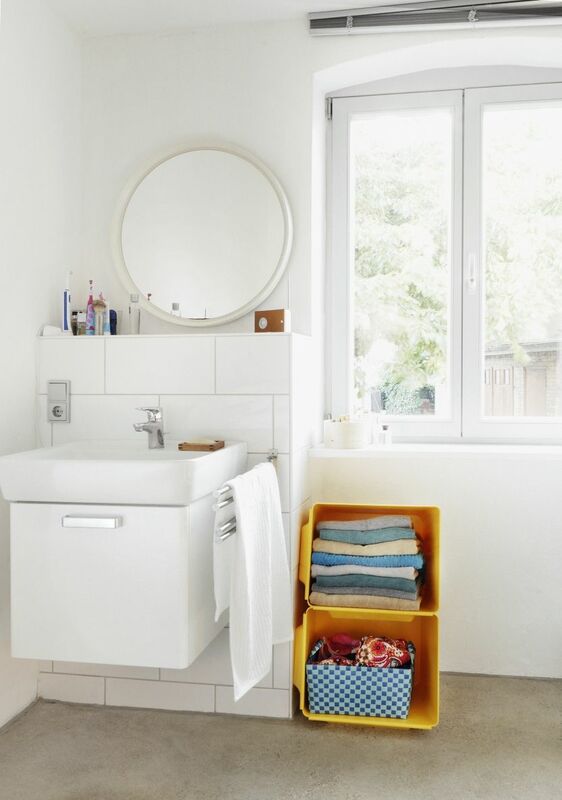 Also just right for organizing toys, books or laundry. 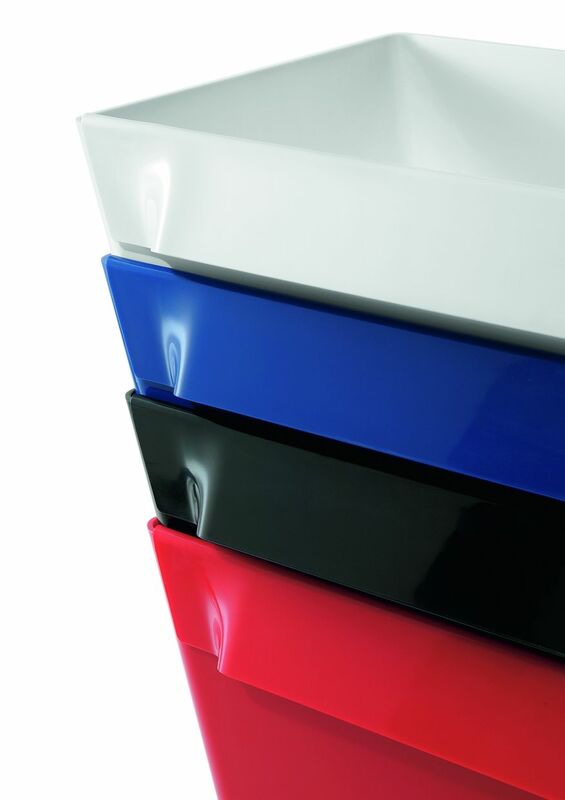 When not in use, the easy-care boxes made from ABS plastic can be stacked to save space. Available in a variety of colours.